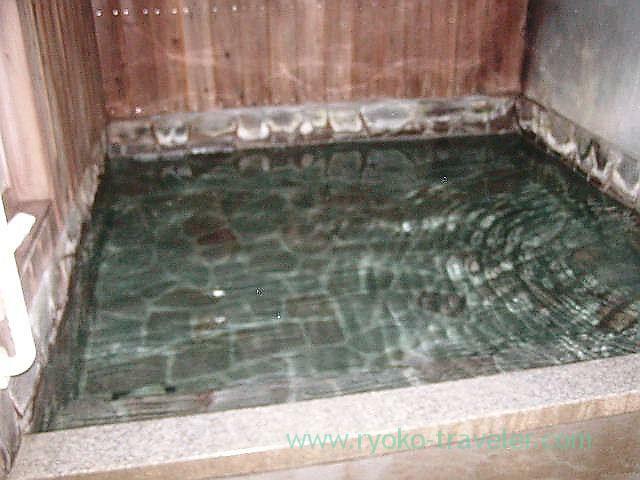 Kusatsu onse town have lots of small onsen facilities that can be used at free of charge. This is one of the facility. It have clear water color. The water was not too hot. This stands along the street on the way from Yubatake to Sai no Kawara Roten-buro. No people came in while I was enjoying the onsen. No adding water, no adding heats. Its pure onsen water ! Though it was hot, I could put my body into the bathwater. I was very happy to take pure onsen water bath ! Chiyo no yu was extremely hot and I couldn’t take the bath without adding cold water. 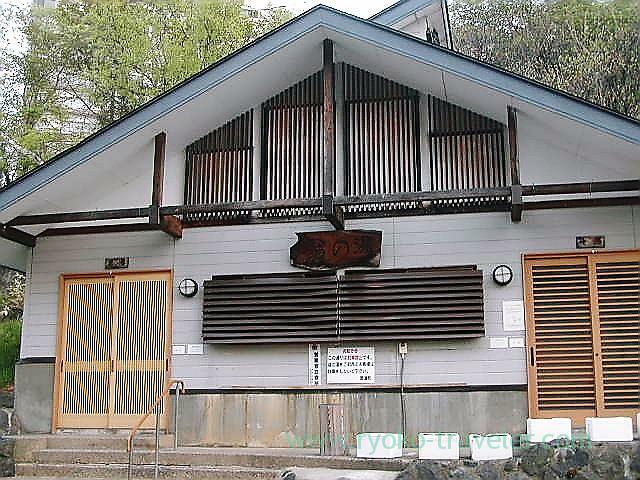 The reason was because someone used this facility last left the onsen water vigorously running.